Our all-new Verano for sale in Medicine Hat brings the signature style, silence and luxury of today’s Buick to a whole new class of vehicle. Verano offers the advanced engineering, thoughtful amenities and premium materials of a fine luxury sedan. New for 2016, next-generation OnStar features available 4G LTE that turns your Verano into a fast and reliable Wi-Fi® hotspot. Finally, a luxury car that fits the way you live today in Alberta. 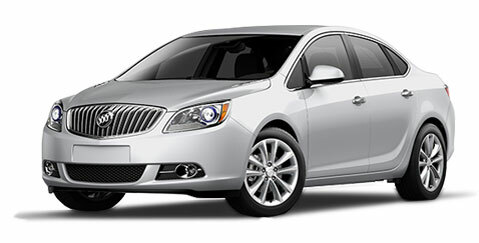 Davis GMC Buick has the new or used Buick Verano in the Brooks area you've been looking for. Buick Verano shoppers come from all over because they know Davis Medicine Hat can get them the Acadia trim and colour they are looking for. Experience a family run auto group that is recognized in Alberta as the top customer reviewed GMC Buick dealer in the Brooks area, and also recognized as one of the Top 50 Managed Companies in Canada. Come see the difference Davis GMC Buick in Medicine Hat can make - a proud member of the Davis Automotive Group. Take a look inside the 2016 Buick Verano and you’ll find comfort that feels right at home. We went out of our way to make Verano comfortable, user–friendly and purposeful. Available heated front seats allow you to adjust the warmth to your liking. Rear 60/40 split-folding seats provide generous seating options. QuietTuning® technology blocks and absorbs outside noise to help provide a serene ride. Premium craftsmanship throughout the cabin ensures every detail tells a story. The 2016 Verano luxury sedan is a sight to behold. Verano’s signature black chrome waterfall grille and chrome accents, brilliant projector beam headlamps, stunning 18-inch multi-spoke machined-faced alloy wheels and sophisticated sculpting are the essence of signature Buick design. 2016 Verano Turbo takes style to the next level with dual, chrome-tipped exhaust outlets, sport pedals and a sculpted rear spoiler. The 2016 Buick Verano comes standard with a powerful 2.4L dual-overhead-cam 4-cylinder engine, delivering a spirited and responsive drive. The 2016 Verano Turbo offers impressive power with its 2.0L 250hp 4-cylinder turbocharged engine, going from 0-60 mph in as little as 6.2 seconds. This luxury sedan is thoughtfully engineered to keep you connected to the road with StabiliTrak® traction control and all-season tires. The 2016 Buick Verano comes standard with a powerful 2.4L dual-overhead-cam 4-cylinder engine, delivering a spirited and responsive drive. The 2016 Verano Turbo delivers impressive power with its 2.0L 250hp 4-cylinder turbocharged engine, making 0-60 mph in as little as 6.2 seconds. StabiliTrak® helps form a stronger bond between you and the road. When you’re driving through unexpected low-traction road conditions, StabiliTrak® uses sensors to detect the difference between the steering wheel angle and the direction you're turning, then applies quick, precise force to the appropriate brakes to help you regain control. The 2016 Verano luxury sedan available near Brooks is designed with purposeful technology to keep you comfortably connected – to the road and to your life. QuietTuning technology helps provide a peaceful drive, voice-activated IntelliLink waits on your every command and the premium Bose sound system fills the cabin with rich lows and crisp highs. Buick IntelliLink keeps you connected to your world. A high-resolution, full-color, voice-activated easy-to-read 7-inch diagonal touch-screen display with optional navigation. Seamless smartphone connectivity means you can even listen to your favorite Pandora or Stitcher Smart Radio playlists. The OnStar RemoteLink app keeps you connected to your Buick like never before. From your phone, you can turn on your vehicle (if equipped with factory installed remote start), lock the doors, and even check if you need gas before you leave the house. In addition to these services, the app also includes a remote vehicle locator. When it comes to safety in the 2016 Verano, nothing was overlooked. Available Forward Collision Alert, Lane Departure Warning, Side Blind Zone Alert and Rear Cross Traffic Alert keep you aware of potential dangers. Features like 10 air bags, ABS, full-function Traction Control, 6 months of OnStar with Automatic Crash Response, and a comprehensive child seat LATCH system give you peace of mind. The thoughtful thinking in the 2016 Buick Verano goes beyond a sleek exterior and comfortable interior. The Verano gets an EPA-estimated 21 mpg in the city and 32 mpg on the highway. For more information about the 2016 Buick Verano, visit our GM dealership serving the Brooks area or contact us at (855) 432-6110.